→ Marvel Premiere #36 (06/77) 3-D Man - The Devil's Music! → Marvel Premiere #37 (08/77) 3-D Man - Code-Name : The Cold Warrior! 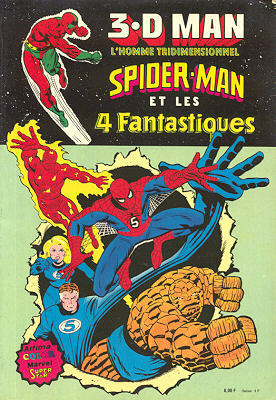 → What If (1°) #1 (02/77) What If Spider-Man Had Joined The Fantastic Four ?